Legal translations are amongst the specialisms offered by Polydioma. We translate legal documents into and from all European languages but also provide translations in the less common languages. Our language experts therefore not only translate into English, German, French, Spanish and Italian, but also into every language in which your company does business. Our clients are based around the world, including in emerging economies such as China, India, Russia and Brazil. Polydioma has many years of experience in translating legal documents and would like to be of service to you. For more information call us on +31 (0)20 645 31 20. Entrust your documents to our linguists and domain specialists/experts. They are familiar with a wide range of legal documents, including judgments, terms and conditions of delivery, articles of association, reports, purchase contracts, employment contracts, pension agreements, writs, marriage certificates, divorce certificates, certificates of residence and extracts from the Chamber of Commerce. You are assured of our personal attention. We respond directly to all your questions and are happy to share our expertise with you. You can also count on us to meet specific deadlines; your wishes always come first. Polydioma delivers quality at competitive rates. By default, we use a fixed price per word. The amount of words in the source text are multiplied by the word tariff. In this way we offer maximum transparency. You will receive professional and consistent translations. Our translations specialists work with efficient CAT-tools. A fact you’ll notice in our competitive rates. Polydioma is different from other translation agencies in that it has all your translations completed by legal experts with additional training in translation. Legal translation is specialist work: not only is there a difference in language between different countries, each country also has its own legal system. An error in a legal translation can be crucial and have huge consequences. Polydioma has an extensive network of specialist translators. We work exclusively with native speaking legal translators, who have years of translation experience in the legal field. They are true professional specialists. 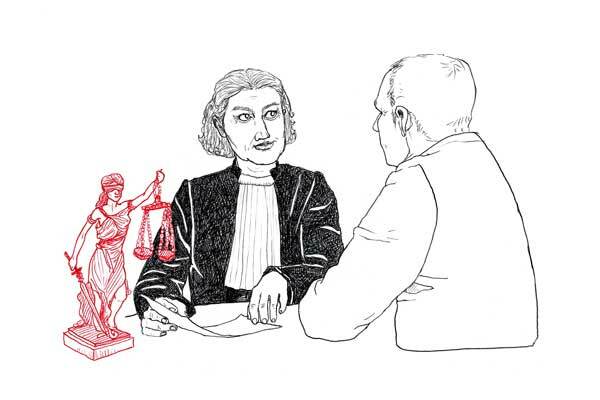 Translating a legal document into another language means that translators must connect two different legal systems, two approaches and two legal cultures. Unlike exact subjects such as physics and chemistry, that use universal concepts, the law largely limits itself to national borders. Over the centuries, each country has developed its own legal system, and every legal system uses its own approach. For official purposes, translations are done by a translator sworn before the courts according to the Sworn Interpreters and Translators Act (Wbtv) in The Netherlands. Examples are: deeds, contracts, articles of association, documents and official documents issued by local government and also an adoption certificate or a will. Sometimes the authenticity of the signature of the sworn translator must be confirmed by an apostille being added by the clerk of the court where the translator is registered. The apostille is valid in the countries that have ratified the Hague Apostille Convention. If the document is from a country which is not party to the Apostille Convention, then an authentication procedure should be followed. The website of the Ministry of Foreign Affairs contains useful information on the different possibilities.